It's the same size as Rwanda. Who knew? 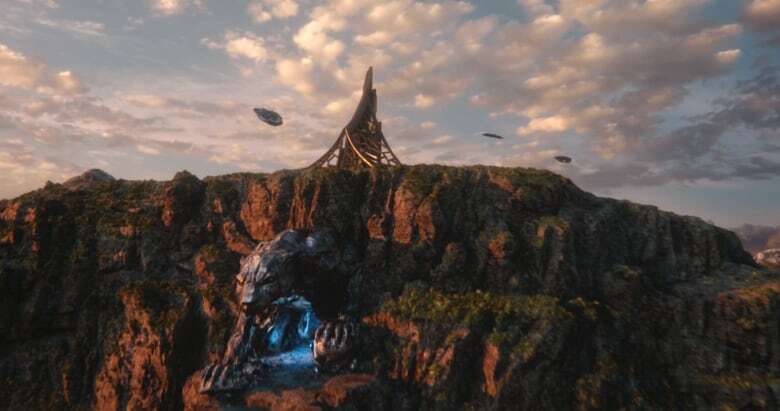 Hannah Beachler shares the secrets of Black Panther's universe. Black Panther is arguably the most anticipated film of 2018. As of writing, it's 99 per cent fresh on Rotten Tomatoes and advance sales in the U.S. are on track to surpass the 17 Disney-Marvel flicks that have come before. That's an astonishingly high number of movies for a franchise, and while those films have taken place around the world — travelling through time and across galaxies — none of them have brought us anywhere like Black Panther's homeland, Wakanda. A mythical African nation that has been protected and hidden for generations, Wakanda is a country that never endured slavery or experienced colonialism. It makes Black Panther an incredible exploration of the question "what if?" What, for example, would that world look like? Answering that question is Hannah Beachler's job. 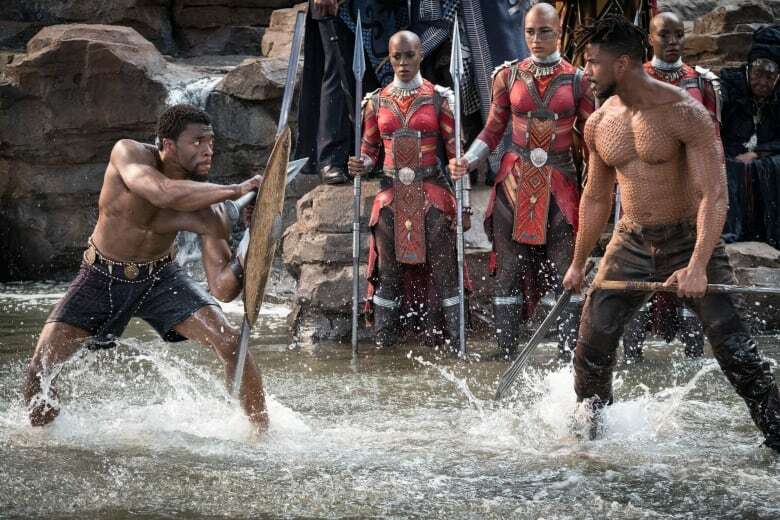 The first female production designer to work on a Marvel film, she created the visual concepts for Black Panther. Beachler is also the innovative designer behind an impressive slate of films: Moonlight, Creed and Fruitvale Station (both films directed by Black Panther's Ryan Coogler). 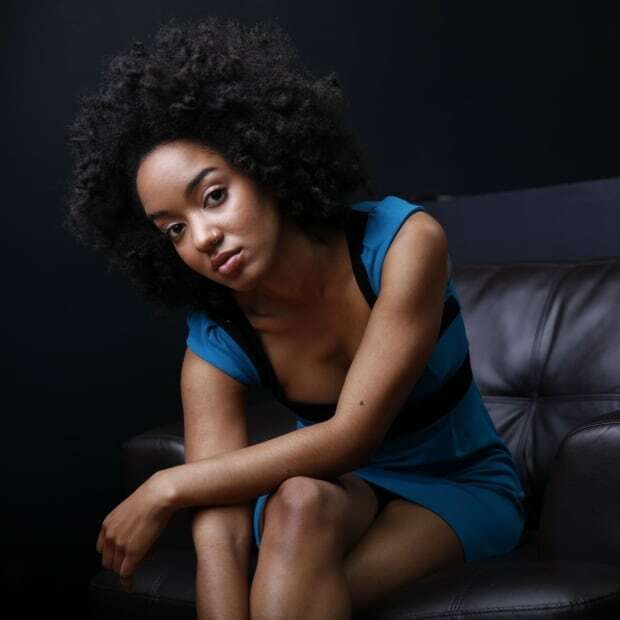 She also worked on eight of the videos for Beyoncé's Lemonade. 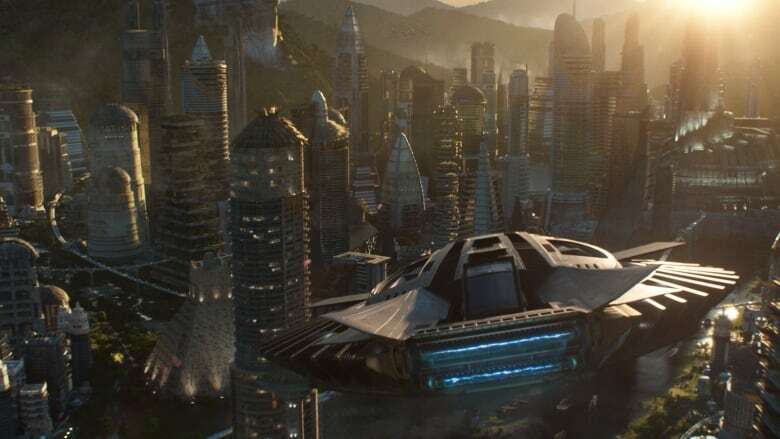 We spoke last week about the process of creating Wakanda. Here, she talks about her influences, including architect Zaha Hadid, and what it means to use cultural references responsibly while designing a cinematic world. You were given the opportunity to build an imaginary African nation that's never experienced colonialism or slavery. It's an African nation that is prospering in more ways than one. What was that experience like creatively and emotionally? It's probably the most amazing thing that's happened [in my career]. We got to do so much amazing research and talk to experts and go to South Africa for three and a half weeks. Creatively you just got to go there. It was all about the imagination of it. Tell me about the research process and going to South Africa. That was the emotional piece. The question is, "What is it be African?" It's of course our ancestry, but I've never been before so my connection is always a question. So going there [was] pretty emotional, and I remember calling Ryan [Coogler] and just having a good cry — [feeling] this wonderment, this awe of what it really is. The world that I live in here, you're made to feel ashamed [of Africa] but going there...it's not what you're shown. The mythology of Wakanda is that they are one of the first people, and so they spread out and take their traditions, aesthetics and cultural practices with them, and these elements can be found in modern day states like Kenya and the Democratic Republic of Congo. This myth allowed you, as a designer, to pull influences from many places. How do you choose which cultural elements from the continent of Africa to use and how do you make sure to do that in a responsible way, one that doesn't utilize them superficially? That's a great question. It all started with where we placed Wakanda on the continent which is basically the border of DRC, Kenya — you know, below it would be Rwanda, Burundi and then to the north you have Uganda and Sudan. It was sort of that area. I tried to find influences that had a direct or similar ancestry and tradition as our tribes. So it's not, "Let me take a piece and throw it on like an accessory." It was, "Let me find something that spiritually connects to what we're trying to do." As far as the technology is concerned, [it's about] taking that same aspect and not necessarily changing but evolving it. "What would it be had these people not been colonized? Where could it have gone? What would it have become?" The architecture — I really looked to architects that influenced me and were important as world designers, not specifically just Africa, but world designers. Zaha Hadid was a big influence on me. Can you tell me how Zaha's work shaped your own ideas and designs? And is there one design in particular that spoke to you? One of the things that I try to do in every project that I've worked on is create intimate spaces. [There is a] big challenge creating intimate spaces with a superhero film because everything's so ginormous. It's always these places that have no meaning — like you're in an office or you're in an elevator because there's so many action sequences. For me it's about bringing the intimate into the large-scale, which I think Zaha Hadid does in the most beautiful way because her structures are enormous but you don't feel that size because of the curves. The way that the building has these rises and falls. The entryways feel majestic. It's almost like you're in your own little fairy tale. 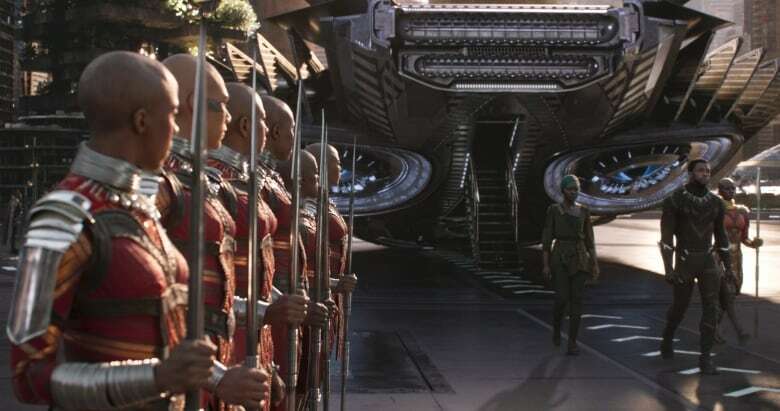 Wakanda is known for its technological superiority but it also has a deep respect for and roots in ancient traditions. How did these two distinct things, the traditional and the technological, factor into your design work? Oh, that was everything. That was a discussion that we had from the very beginning: tradition and modern. And how advanced is Wakanda? 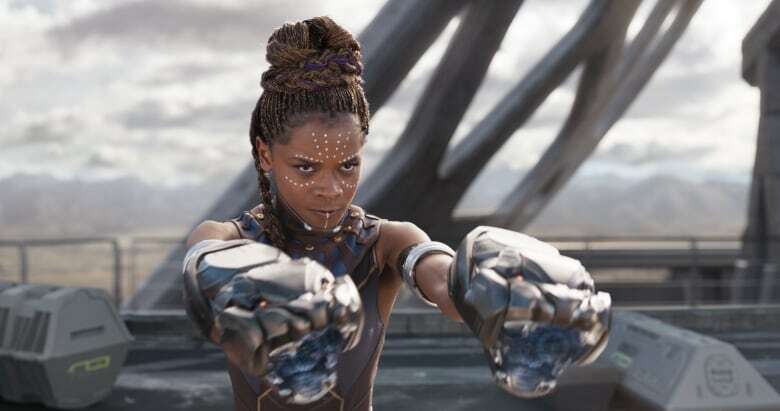 We didn't want to be so advanced that it felt alien because it was 2018 and it's on Earth and it's part of the MCU, but it needed to feel more advanced than Tony Stark because Shuri (Letitia Wright) is the most intelligent person on Earth. [A] 16-year-old African princess is the most intelligent person on Earth! Also, the reverence for the traditional. In the throne room the elders are on top of a Timbuktu pyramid. Look close and you'll see it and it goes all the way down the palace. That's where they make the most important decisions about the course of Wakanda. They're always close to the earth and you'll see that in the Hall of Kings. You have these technological advances right next door to tradition as if it's just an evolution of it. And then doing it in a way that they would naturally do it. That was the hard part. "If I was an architect in Wakanda..." that was my thought pattern because they're not just advanced technologically — they're also advanced by being enlightened spiritually. So they're going to think about things differently. 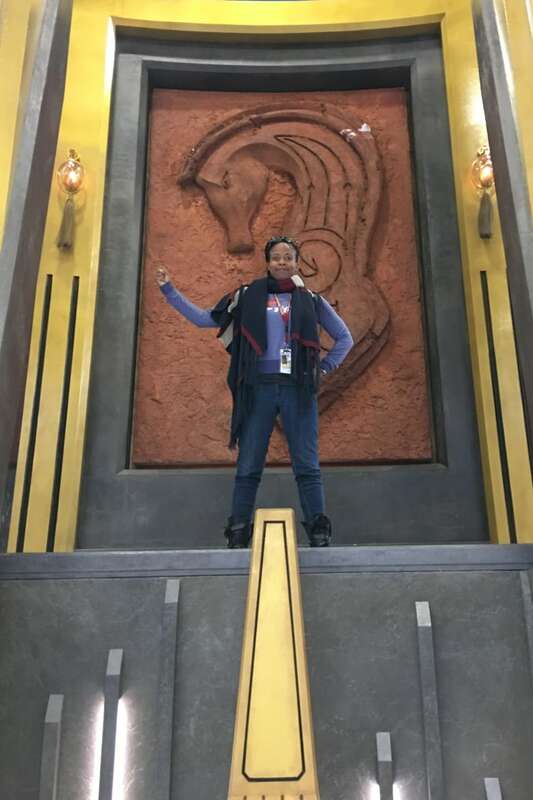 Ryan helped me get into that mindset of being a Wakandan architect, being a Wakandan historian. What are the benefits of putting a rondavel on top a skyscraper? Not just because it looked cool but because there was a reason behind it. One of the things that I used was sand divination which is from the Dogon tribe. The shaman in the tribe will make all these beautiful designs in sand, and if a couple are having marriage trouble, they go to him and he draws certain patterns and then overnight a fox will walk through the sand and he reads the footsteps depending on where he stepped in the design. So it's sort of like telling people how their future's gonna work out. I took that idea and advanced it into a technology. [For example] how they fly the Royal Talon Flyer [Black Panther's jet]. 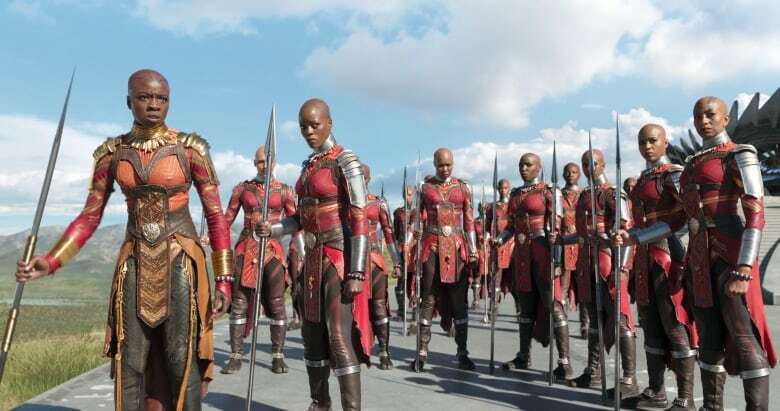 You'll see Okoye (Danai Gurira) putting her hands above the sand and moving it. Nanotechnology mixed with the energy of the person and their Kimoyo Beads and the vibrations. That's how I saw that evolve. That's how it worked with everything. It gave everything a meaning which I think also translates on film and I think people can feel that and I hope are curious about things and do research and look into. Is there anything that you dreamed up that didn't make it to the screen? Is there anything you can share? (laughs) At one point I was creating all of the different provinces of the tribes. So there was where the farming tribe lived, where the merchant tribe lived, where the river tribe lived — you would see a little of everything. So that is out there. It's something that we actually did research and development on. I really liked the river tribe stuff because they were less tech in their province. They had it and they had access to it — they just chose to live a little slower, using the power of the river and doing things more in the traditional way, being the ones that control the rivers. And they had these vibranium dams and all this stuff. So that's all to be saved for Black Panther 2 and 3? It's so amazing that you went through that process because even though Wakanda is a small nation, it's still a nation, with diverse people. So it needs to have distinct communities and provinces. It makes the world real, even if we don't see all of that on screen. You've done so many incredible projects. Do you ever have a sense of the potential cultural impact the project will make while you're working on it? When I read Fruitvale Station — I cried my way through that script when I first read it and I just had a big moment. I knew I really wanted to work on it and as we were filming it I knew what this meant. Moonlight, I just knew it was important to be made because Barry [Jenkins] being such a fantastic filmmaker and James [Laxton] such a wonderful cinematographer. And that story needed to be told. I was gonna be a part of it no matter what. I think we kinda thought it will get into some film festivals. What actually happened — nobody was prepared for that at all. Lemonade...you know, it was Beyoncé (laughs) and it was so secretive. Even when we were working on it I had only heard two of the songs. We worked together talking about references, but I didn't know how it would be edited together. [I was] pleasantly surprised when I saw it. I didn't realize it would be as big as it was, but it was Beyoncé so I knew it was gonna get a lot of attention. And then with Black Panther did you know? It's Ryan so I knew it was gonna be something really special once again and trusted him 100 per cent through the whole process and his decisions and his vision. Of course, you never really know. I think it's a little overwhelming how much is going on (laughs). I wouldn't expect all of this. But I knew it's Marvel, it's something cool, it's different. We wanted it to be more different than anything anyone's ever seen. I thought people would appreciate it but I didn't realize how huge it would be. Black Panther. Starring Chadwick Boseman, Lupita Nyong'o, Michael B. Jordan, Danai Gurira. Written by Ryan Coogler and Joe Robert Cole. Directed by Ryan Coogler. (PG-13) 134 min. Opens Feb. 16.